The Lumina Foundation which administers the Wole Soyinka Prize for Literature in Africa based in Lagos, Nigeria with an office in Accra, Ghana, has announced the composition of the Jury for the 2016 -2018 period. The bi-annually given Prize which is also the biggest and open to all African writers residing on the continent and outside comes with a cash of $20,000, a citation at the awards ceremony in Lagos or a selected city in Africa. It honors Africa’s first Nobel Laureate in Literature- Prof. Wole Soyinka who normally gives the Prize in the third week of July and is also to inspire a new generation of writers. The Prize rotates in the three genres of the literary arts- prose, poetry and plays and will in the 2016 consider entries in poetry. Submissions are from July to December 2015. Very competitive and the selection process vigorous, entries have normally been close to 500 from over 30 countries. [ See www.theluminafoundation.org for details of The lumina Foundation and rules and regulations governing submission of entries]. As further inspiration for writers, both the current and past chair of the Foundation, Dr. Yemi Ogunbiyi and Mrs. Francesca Yetunde Emanuel have spoken of a residency programme for future Prize winner the 2016-18 Jury is made up of distinguished global literary figures with experience in African affairs and judges of other prizes. They have over the years helped to grow African literature. They are : Margaret Busby, Publisher, editor of the well-known anthology, Daughters of Africa who previously chaired the Caine Prize. Busby will chair the Jury deliberations. Others are the distinguished historian Toyin Falola, author of over hundred books on Africa and currently President of the African Studies Association of the United States and Elleke Boehmer the distinguished Professor of World Literature in English and Governing Board Fellow, Wolfson College, the University of Oxford. In the running for a decade, previous Prize winners include the Nigerian and South African novelists , Sefi Atta, Nnedi Okoroafor, Wale Okediran, Kopano Matlwa , Sifizo Mzobe some of whom have gone on to become world-known novelists, playwrights and poets though there had been other already established writers winning. Publisher, Writer and Editorial Director of Literary works and of Afro-Caribbean parentage, Busby became since graduation from the Royal Holloway of University of London in the 1960s, the youngest and first black woman publisher in the United Kingdom. She co-founded Allison and Busby Limited and for over twenty years served as its Editorial Director publishing the works of C.L.R. James, Buchi Emecheta, Sam Greenlee, George Lamming, Ishmael Reed, John Edgar, Nuruddin Farah and others. She also became the Editorial Director of Earthscan and published Frantz Fanon and Carolina Maria de Jesus. Busby edited the well-known, Daughters of Africa: An International Anthology of Words and Writing by Women of African Descent (1992); radio and dramatizations include the Radio 4 award- winning play, Minty Alley; works of C.L.R. James, Wole Soyinka, Walter Mosley, and Henry Louis Gates Jr. Stage productions include, Sankofa (1999); Yaa Asantewaa- Warrior Queen (2001-2002). Busby has also written extensively for The Guardian, Independent, Observer, New Statesman and The Times Literary Supplement. She was awarded the Order of British Empire (OBE) and currently Chair of the Soroptimist International of Leeds Literary Prize, previously chair of The Caine Prize for African Writing, The Orange Prize, The Independent Prize for Foreign Fiction and the OCM Bocas Prize for Caribbean Literature. The Jacob and Frances Sanger Mossiker Chair in the Humanities and University Distinguished Teaching Professor at the University of Texas, Austin where he had previously been a Distinguished Teaching Professor and the Frances Higginbotham Nalle Centennial Professor in History. He is also the President of the African Studies Association (ASA) of the United States. Falola has published over 100 books including two award winning memoirs, A Mouth Sweeter Than Salt (2004) and Counting the Teeth of the Tiger (2014). Falola is the Series Editor of Rochester Studies in African History and the Diaspora, Culture and Customs of Africa by Greenwood Press, Classic Authors and Texts on Africa by Africa World Press etc. He was the recipient of the Distinguished Africanist Award of the ASA and had previously served as Chair of its Herskovits Prize as well as chair of The M. Klein Book Prize committee for the American Historical Association and Member of The Joel Gregory Prize committee for the Canadian ASA. Professor of World Literature in English at the University of Oxford Faculty of English Language and Literature, Boehmer, a Governing Body Fellow of Wolfson College at Oxford is a Soyinka and Nelson Mandela specialist . She previously taught at St. John’s College of Oxford and is also the Deputy Director of the Oxford Centre for Life-Writing and Co-Convener of Oxford’s TOURCH-funded Race and Resistance in the Long Nineteenth Century Network; was a Hildred Carlile Professor of Literature in English at Royal Holloway, University of London and at the University of Leeds and also Nottingham Trent. She is author of many books including: Postcolonial Literature: Migrant Metaphors (1995); Empire, the National and the Postcolonial, 1890-1920: Resistance in Interaction ( 2002), Nelson Mandela: A Very Brief Introduction (2008) and co-edited J.M. Coetzee in Context and Theory (2009). Her novels and short stories include : Screens against the Sky, An Immaculate Figure, Bloodlines, Nile Baby and Sharmilla and Other Portraits. Boehmer Co-established in 1988 the Bran Fischer Memorial Lecture Series and in 2009 gave the MM Bhattacharya Endowment Lectures at the University of Calcutta in India. Boehmer has received many awards, fellowships and grants for her literary work and serves as Judge of the 2014-2015 Man Booker International Prize. Dr. David Owusu Ansah is Professor of History and Executive Director for Faculty Access and Inclusion at James Madison University in the United States where he also serves as a board member of the University’s Mahatma Gandhi Centre for Global Nonviolence. With undergraduate training at the University of Cape Coast, and graduate degree from McGill University in Canada and a Ph.D from Northwestern University in the United States, Dr. Owusu Ansah spent a year of post-graduate fellowship at the Hebrew University in Jerusalem. He has written extensively on Islam in Africa and also on the history of Ghana. Dr. Owusu- Ansah is the author of Islamic Talismanic Tradition in 19th Century Asante (1991), Islamic Learning, the State and Challenges of Education (with Abdulai Iddrisu and Mark Sey in 2013), and “ A Contested Half- Century : A Historical Overview of Ghana Since Independence, “ in Ivor Agyeman-Duah’s Pilgrims of the Night: Development Challenges and Opportunities in Africa (2011). Past president of the Ghana Studies Association, Dr. Owusu- Ansah is also the author of the widely referenced editions of the Ghana Historical Dictionary. Currently a Research Associate at the School of Oriental and African Studies, London and also at King’s College, London, Casely-Hayford a British curator and cultural historian lectures on world art at Sotheby’s, Goldsmith College and the University of Westminster and has been consultant to the United Nations, advised the Council for Culture of the Dutch and Norwegian Art Councils and was commissioned to develop the future audience vision for the galleries’ of the Tate family. He is also a Clore Fellow. He presented the BBC 2 and the BBC4 Lost Kingdoms of Africa, William Hogarth for Channel 4 in London as part of the TV Series, The Genius of British Art and hosted Cultural Show for BBC 2 in 2012. A former Director of Arts Strategy for the Arts Council of England, he was also the Director of the largest Arts Season Africa 05 and in 2012 was a Jury of the National Open Art Competition of the UK and the National Portrait Gallery BP Portrait Award. In 2013 he was chair of the Caine Prize Judges and currently sits on the National Portrait Gallery Board of Trustees of UK. Born in post-colonial Kenya where she grew up and also had her early education, Auma served as Patron of the Storymoja Festival , East Africa’s biggest literary event in 2014. She is the author of : And Then Life Happens- A Memoir first published in German and later translated into English by Ross Benjamin in which she details growing up with her brother Barrack who would become the President of the United States. Auma previously taught at the University of Nairobi and at the Goethe-Institut having had most of her university education in Saarbrucken, Bayreuth and Berlin , Germany where she studied sociology and German and holds a PhD. Apart from promoting literary causes and adult education in East Africa and parts of the world, Auma who travels extensively around the world, also worked in development and was with CARE International in Kenya, an organization specializing in worldwide humanitarian work. The Secretary to the Advisory Board. 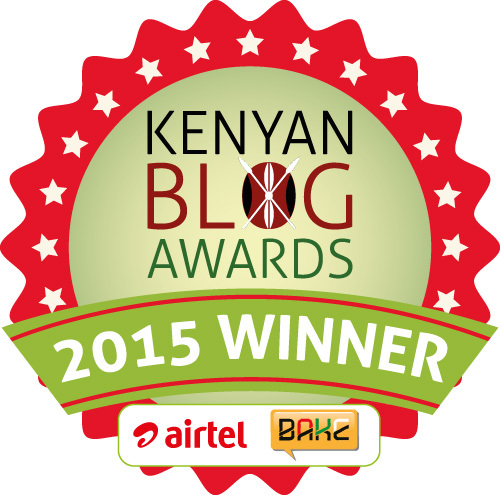 This entry was posted on June 18, 2015 by Storymoja Africa in Writer's Blog.